I am so excited to share this Thanksgiving craft with you. 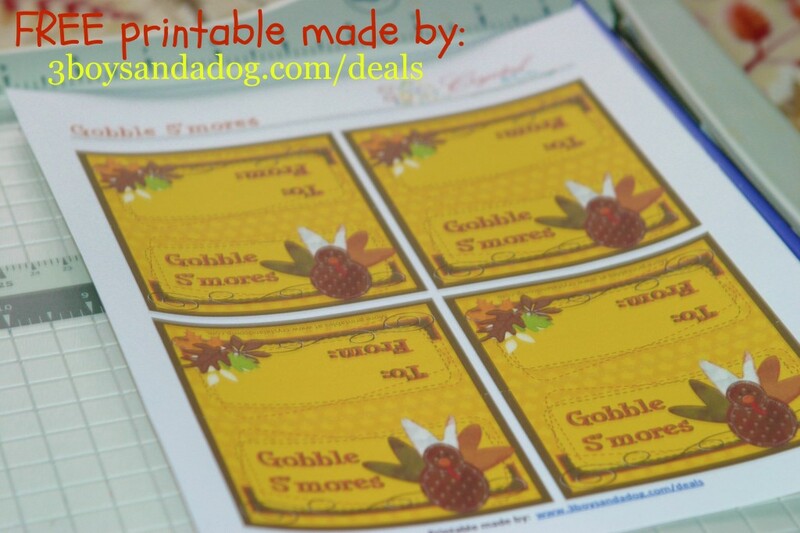 I just adore the little handmade looking turkey on the front of the printable. For more Fall crafts make sure you check out all of my easy ideas that I’ve shared over the last few seasons right here on my site. 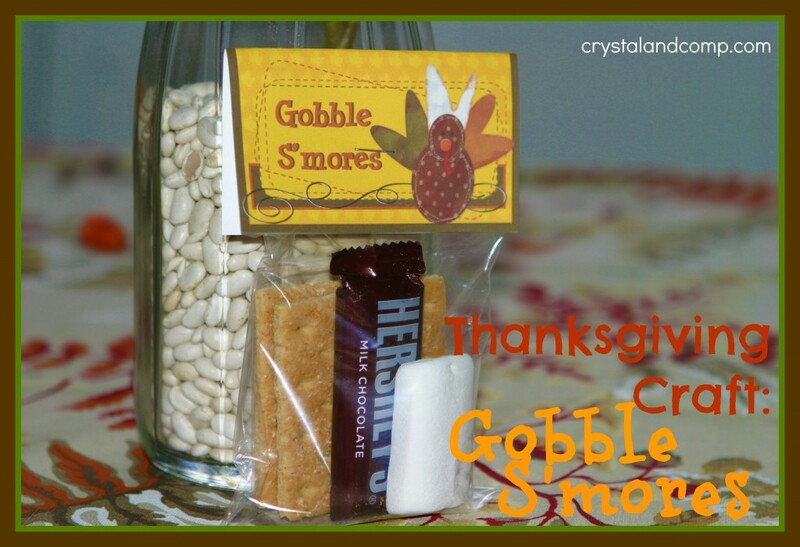 Who loves some turkey s’mores? Gobble, gobble. 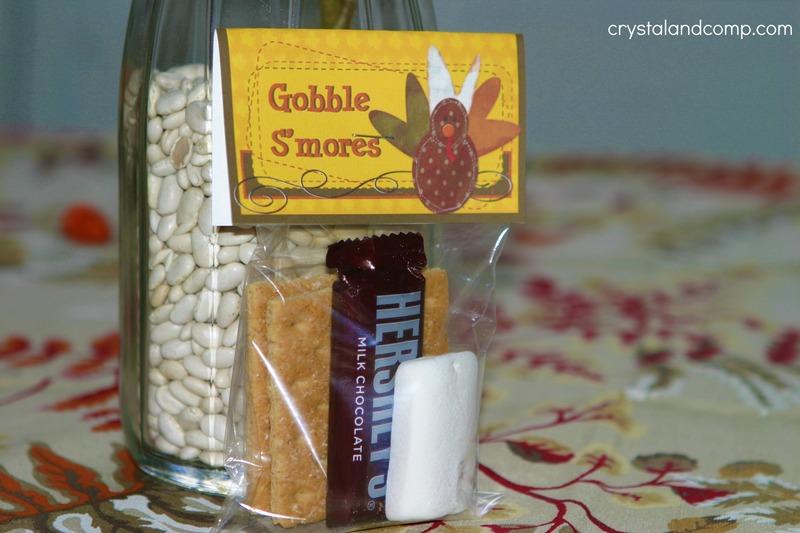 These s’mores are so simple to make and are perfect treats for Thanksgiving school parties, teacher gifts, and they make the best goodie bag handout for your nieces, nephews and grand kids! 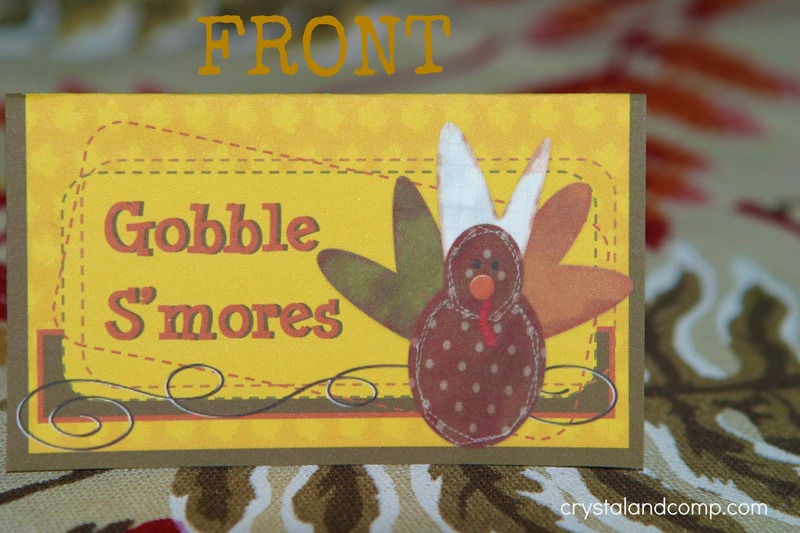 You could even use these as place setting treats at a kiddy Thanksgiving table. Print out your free printable. Use scissors or the paper-cutter to cut out the treat bag labels. Each page has four labels on it to save printing supplies. Love this printable? Kelli from 3 Boys and a Dog makes my printables. She offers very affordable design work if you want to contact her for a custom project you might have. Once you’ve cut out the labels, fold them over like the picture below. I love the “to” and “from” area on the back of the cards for personalized gift giving. Stuff each 3×4 cello bag with: 2 graham cracker squares, one large marshmallow and a chocolate bar. Fold the top of the cello bag over. Slip the treat bag label over the folded cello bag top. Staple the label to the cello bag to secure and your treat is done! And if I have not told you yet, Happy Thanksgiving. what a cute little gift idea for friends. This is awesome! 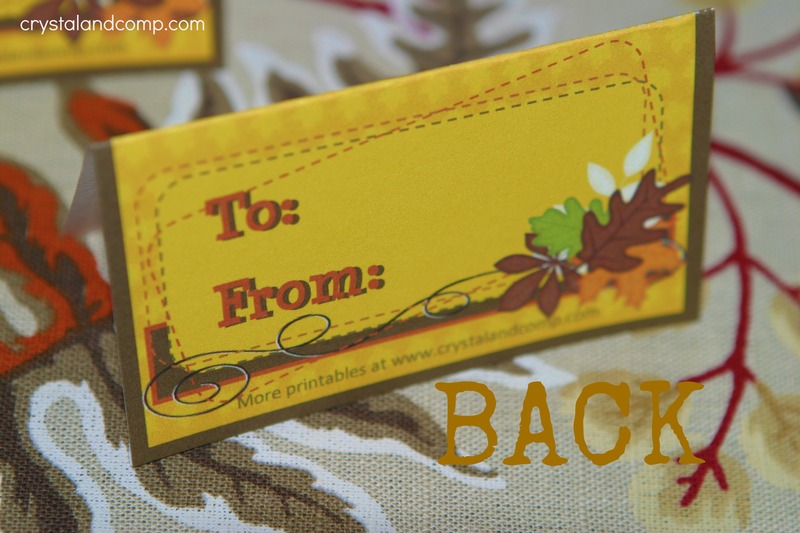 I love all your seasonal ideas with printables! I’m featuring your post in my Top 10 Thanksgiving Recipes & Crafts post.